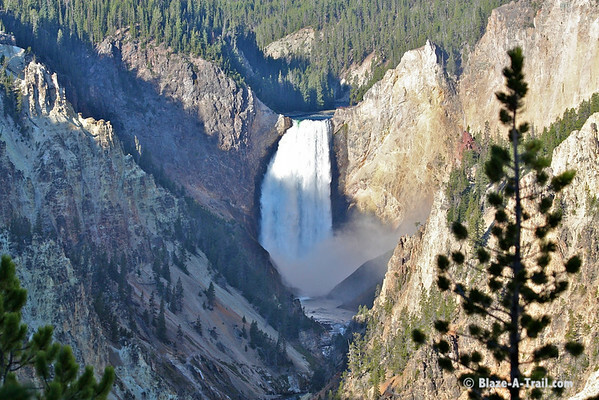 Having worked in Yellowstone when I was 19, I longed to share this magnificent place with my kids. My Daughter turned 5 and that was as long as I could wait! She has such a passion for animals, so I trusted this was going to be an amazing trip. Sure enough, we had the time of our lives exploring the Grand Tetons and Yellowstone. Many animals came out to say hello and the scenery was most impressive. We saw more wildlife in 4 days than I saw nearly the whole summer working there. Elyse's favorite animal was the buffalo. Fortunately, they were just about everywhere and she must have taken 150 pictures of these bountiful beasts with her pink camera (future professional photographer!) Also, having seen just one grizzly that whole summer, I knew we would be fortunate to see just one of these impressive creatures on this trip. In our prayer before bed on the second night, I asked God to allow us to see 'just one Grizzly'... my daughter piped in by saying 'and lots of black bear too!' I recall having been concerned that we asked God for too much -- that we may have blown it by asking for too much. Boy, was I wrong! On the last day, early in the morning, we were blessed with 9 bear sightings including 4 grizzly and 5 black bear (cubs too)!! It was as if they were at each mile marker just waiting for us to drive by... I learned this trip (thanks to my fearless daughter) that no prayer is too big! I would highly recommend any parent(s) take their daughter and/or son on a trip to this heavenly place.